A staple of the local scene in recent years, thanks, especially, to her phenomenal 2017 third LP Trinity Lane, Americana-tinged alt rocker Lilly Hiatt is set to headline a stacked show at The Basement East tonight, June 28. Joined by likeminded folk-tinged rocker Brandy Zdan, who’s celebrating her great recent effort Secretear, as well as Athens based southern gothic singer Thayer Sarrano, this is primed to be a night of powerful, personal tunes from three incredible women. Tickets are still available here, and we strongly encourage you to snag your spot. Read on for more about the show! 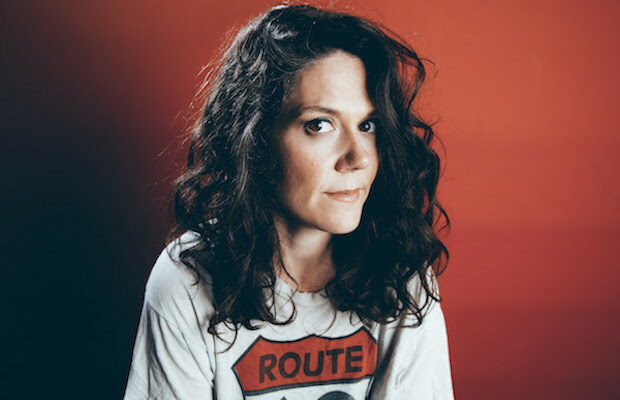 While, yes, she is the daughter of famed singer-songwriter John Hiatt, eclectic East Nashville rocker Lilly Hiatt has, for years, been carving out her own musical niche, which culminated most recently in last year’s stellar third full-length, Trinity Lane. Born in LA, though raised in Nashville since childhood, Hiatt took up music in her teens, and formed a band, Shake Go Home, while attending school in Colorado, moving the group back to Nashville for a brief run. 2012 marked Lilly’s first solo record, Let Down, which she’s followed with two stellar efforts, 2015’s Royal Blue, which first put her squarely on our radar, and last year’s aforementioned Trinity Lane, produced by Shovels & Ropes’ Michael Trent. Building on a love of ’90s alternative, Hiatt has honed a style that sounds equally garage rock primed and Americana influenced, incorporating elements of alt-country and folk into her confessional, confident work. A gem in Nashville’s vast singer-songwriter scene, Lilly has emerged as one of our favorite local artists of recent years, and her continually growing buzz has landed her on the road with the likes of Blitzen Trapper, Drive-By Truckers, Old 97’s, and Aaron Lee Tasjan. If you’ve been following Hiatt’s ascent, you know this show is a must-see, and if, somehow, she’s slipped under your radar this long, it’s doubly essential. While her eponymous, solo full-length debut arrived just two years ago, eclectic local alt-rocker Brandy Zdan has been making music in the public eye for more than a decade. First rising to prominence in her native Canada as one half of Juno nominated gothic folk duo Twilight Hotel, Zdan briefly relocated to Austin and served as a multi-instrumentalist in Americana outfit The Trishas, before landing in Nashville and focusing on a solo career. Combining a love of alt and garage rock with a folky past (not unlike Lilly Hiatt), Zdan’s confident, unrelenting approach as a songwriter has quickly attracted widespread acclaim, and her latest LP, this year’s Secretear, produced by Teddy Morgan and featuring members of My Morning Jacket, The Texas Gentlemen, and her husband Aaron Haynes, is the best distillation of Brandy’s sound and style yet. Yet another must-know local singer-songwriter, it’s an especially exciting time to see Brandy in action, and she couldn’t be better paired on a lineup than this. While elements of southern rock and, like the rest of the lineup, folk, seep through in her sound, Athens, GA singer Thayer Sarrano adopts a sound much more in the realm of shoegaze, dream rock, and southern gothic. No doubt a product of Athens’ legendary, flourishing art scene, Sarrano has released three full-lengths over the last decade, perfecting an enchanting, etherial, and hypnotizing style that is both beautiful and haunting, propelling her personal, poetic, and confessional companions in a unique and enchanting way. The southern Georgia native is a bit more unconventional than the singers she’s opening for, and that’s all the more reason to arrive early and see Thayer in person- especially since she seems primed for new music in the near future. Lilly Hiatt, Brandy Zdan, and Thayer Sarrano will perform tonight, June 28 at The Basement East. The show is 18+, begins at 8 p.m. (doors at 7 p.m.), and tickets are available to purchase for $12.